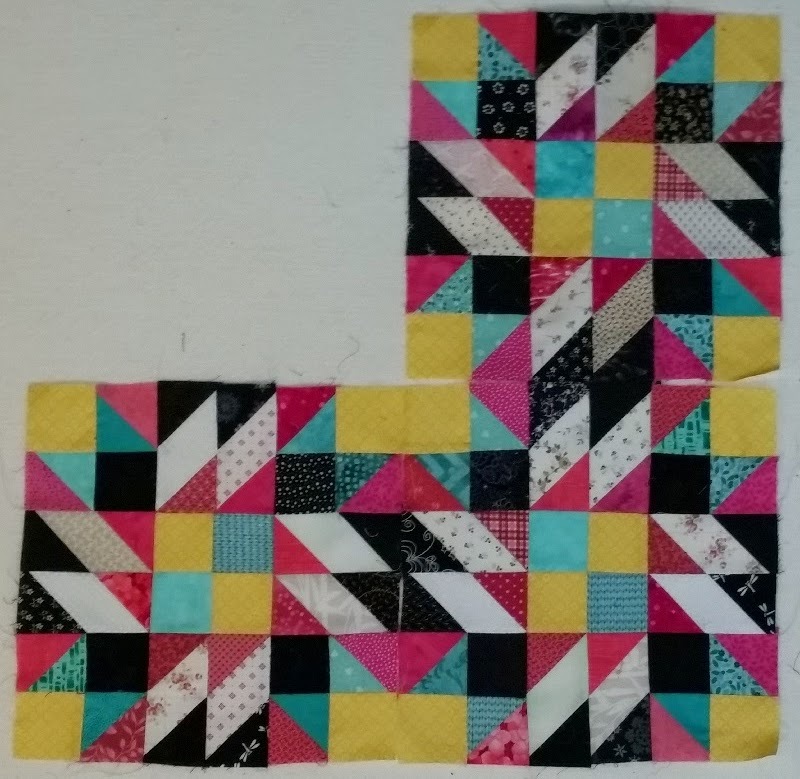 This week I am making progress on my Grand Illusion Quilt. The units are finished and I have 3 blocks assembled. Only 22 more to go! Then the sashing and borders. Hope to finish in time for the Parade over at 52 Quilts! 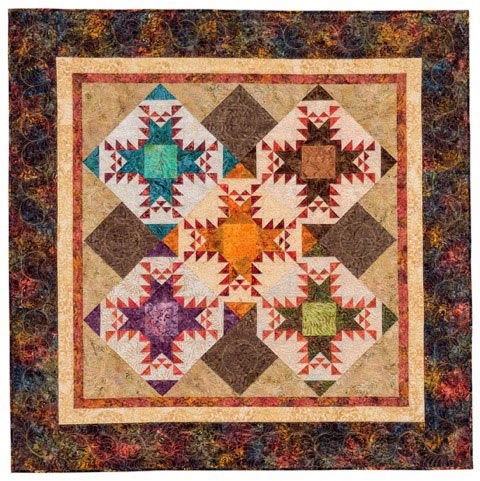 This next week I will be making my annual trip with Sandi, over at Kwiltnkats, to Road to California Quilt Show. We try to go every year and take a class or two. This year we are taking a class called Batik Feathers by Donna Lynn Thomas, and a Mystery Quilt class that involves Downton Abbey Fabrics. Looking forward to both classes and seeing the show. Hope this week finds you working on something fun and getting it completed! Kerry, I like your Grand Illusion - did you tweek it a tiny bit. Have fun at the show. That class sample is lovely. I invite you to link to WIPs Be Gone (ends tonight, midnight) to show off your progress on GI. I really like your grand illusion blocks, really pop out at you. Batik feathers is also very nice. Hope you had a great time at the RTCA show.